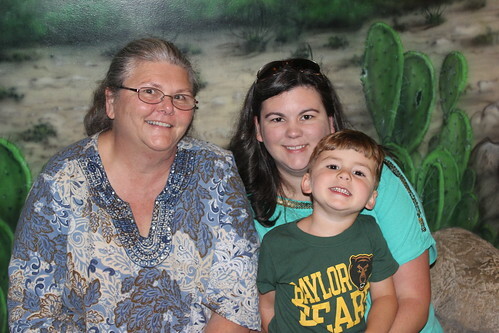 Most of you have seen the photos on Facebook, but for those of you that haven’t here are some of the pictures and stories from our recent trip to Texas for Will’s graduation from Baylor University. We left Jay, at 3:30 in the morning and drove to Mobile to pick up Nana. After a long day’s drive we made it to Waco about 14 hours later. It usually takes 12, but with the kids we added two more hours to the trip. Go figure! 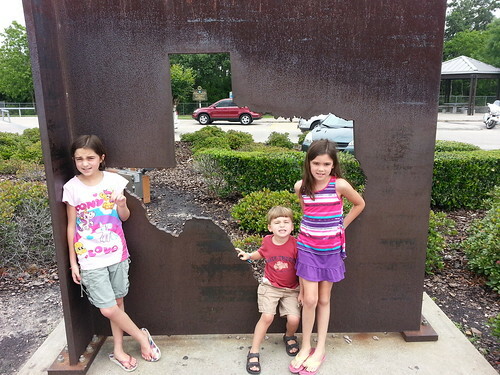 The kids thought we were there when we made it to Texas. I hated to break it to them that we had another 5-6 hours of driving. 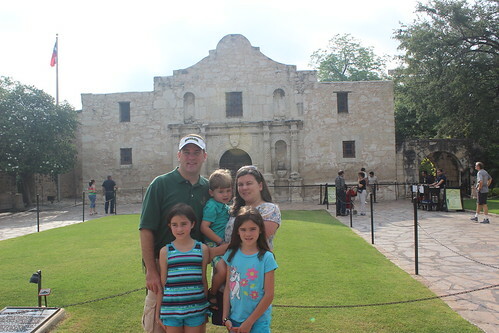 Luke must have asked a hundred times if we were to Texas yet; even once we were in Texas. 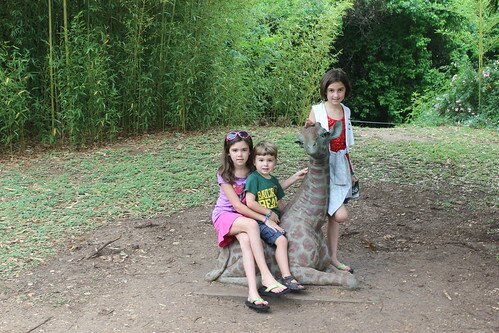 The first day we were there we went to the Cameron Park Zoo in Waco, Texas. It was a sweet little zoo with lots of shade and animals. The zoo had these pretty little statues all over the place. The kids wanted pictures with each of them. Anna ran ahead of our group and up the ramp that is just behind this dragon. Will could see her but she was still running off. As soon as she came around the corner she saw this thing and stopped dead in her tracks. She thought it was real for a second and almost had a heart attack. I say it serves her right for running off. 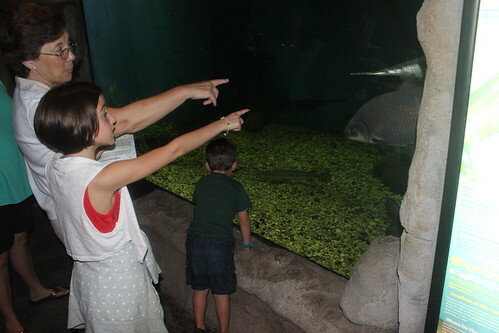 This fish they were pointing at was the funkiest looking thing. You can see the fish in the upper right corner of this picture. It would open its mouth and you could see all the way through. I still don’t understand how the food stays in. It was very odd! I think this big guy was thinking about how yummy those kids looked. He just paced back and forth over and over again. This picture, even though it isn’t the clearest, is hilarious. 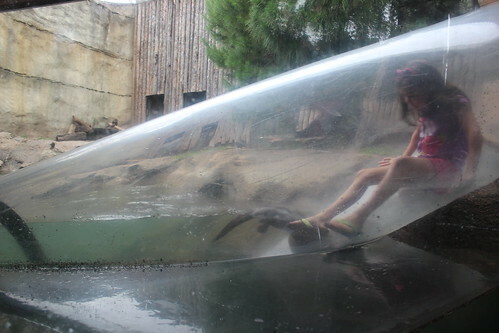 Anna was sliding down the tube when an otter came swimming by; you can see him just under her feet. In mid-slide, she saw that otter and tried to stop herself. The panic on her face isn’t visible in the photo but we laughed so hard. I don’t know what she thought was going to happen. 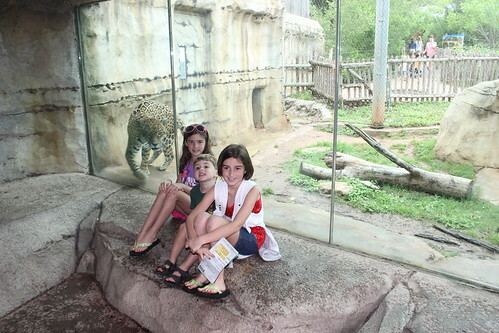 The same day we went to the zoo, we went to see the Baylor bears. 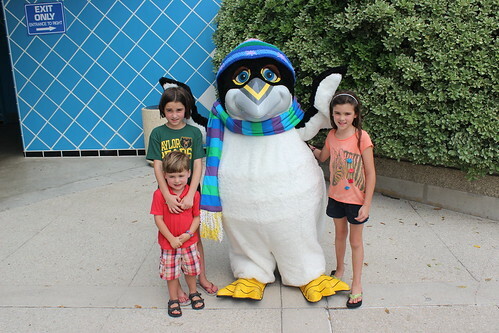 The kids have talked about them and begged to see them for years. 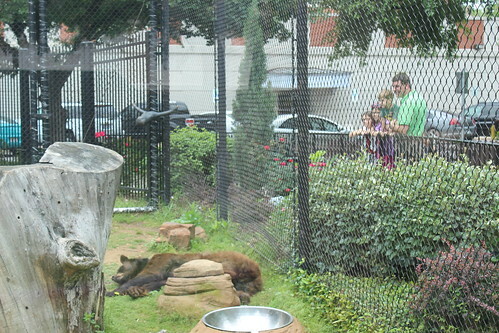 Here they are with their daddy watching the bears sleep. Just behind the bear facilities is a drainage ditch. 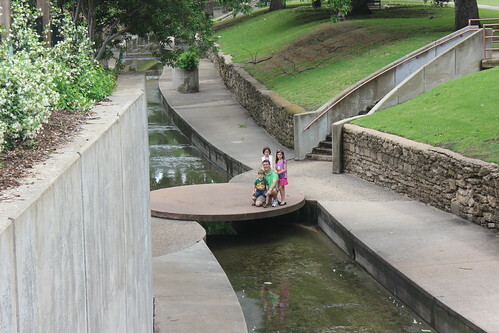 We were all so amazed at what the drainage ditch looked like that we just had to take some pictures of it as well. 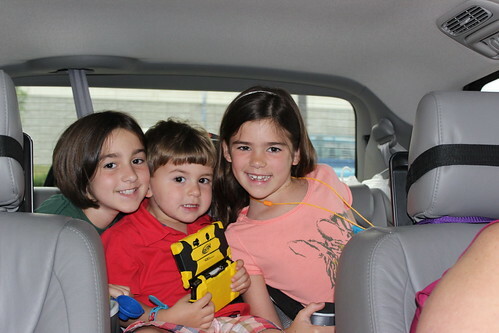 Finally the reason for the trip, Will’s graduation day. 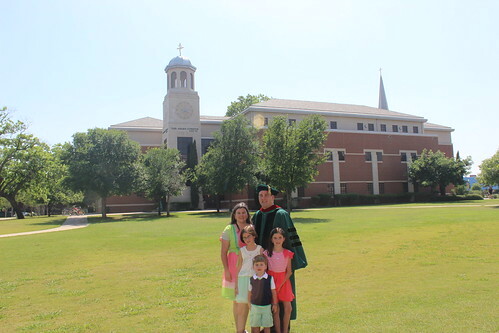 Between practice/lunch and graduation time, we made Will traipse all around the Baylor campus taking his robe on and off in the blazing Texas sun for pictures. Here are a few of the ones that were not already on Facebook. Here we are trying to take a family photo. This is one of the best ones from the MANY photos that my mom and his mom took. Next time, we are just going to have to take a tripod everywhere we go. 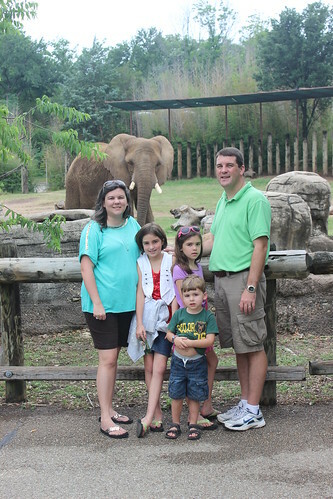 Please note that any time you have seen a family picture in this post, it was a great effort to get one centered with everyone looking. 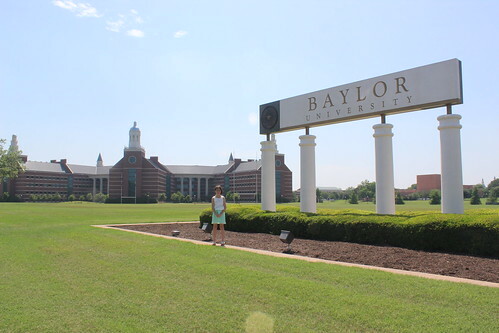 Isabelle swears that she is going to attend Baylor University and become a scientist. So, just in case she actually does it, we took a picture of her in front of the science building while we were out there. This is Will in front of the Truett Seminary building. 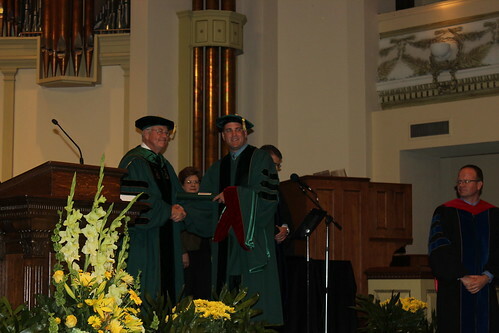 And here he is receiving his diploma from Baylor’s President, Ken Starr. We are all very proud of him! 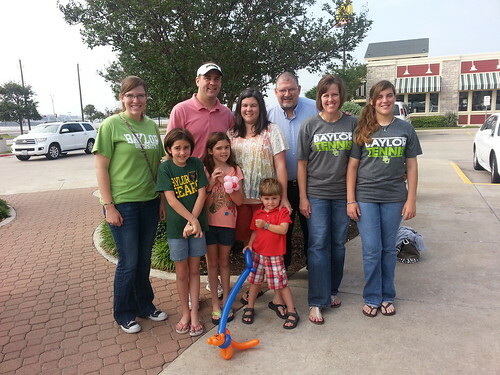 On our way from Waco to San Antonio, we met with the Kendall family for breakfast. Scott is the one who married Will and I and he was the youth pastor at Will’s church when he was a teenager. We haven’t seen them in years and it was so nice catching up with them. They wore their Baylor shirts in honor of Will. What would we have done on this road trip without electronics. I probably would have been a basket case. Years ago when Will first started his D.Min. 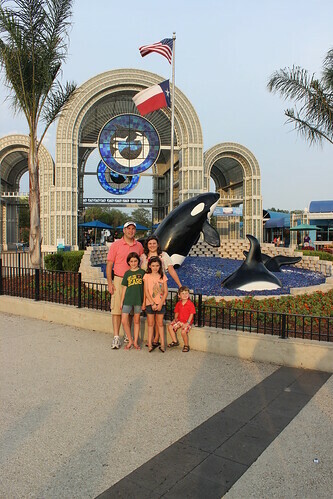 program, we promised the girls that when their daddy graduated we would take them to SeaWorld since we never go to the one in Orlando, Florida. They didn’t forget and they let Luke in on the secret. There was no way of getting out of it. 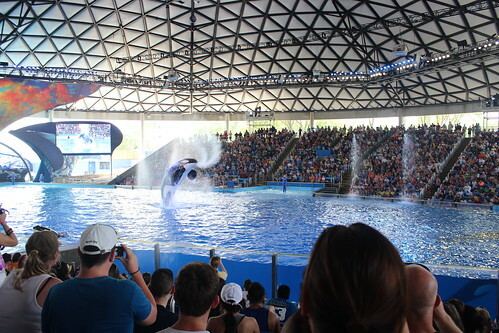 It still amazes me at how those big ole things can get their giant selves up and out of the water. It is beautiful! 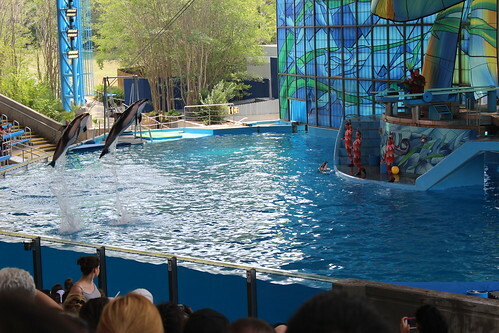 Apparently, now that the trainers aren’t allowed in the water with the animals, the entire show is about getting people wet. Even when the whales aren’t responsible for it, the trainers are getting everyone wet. 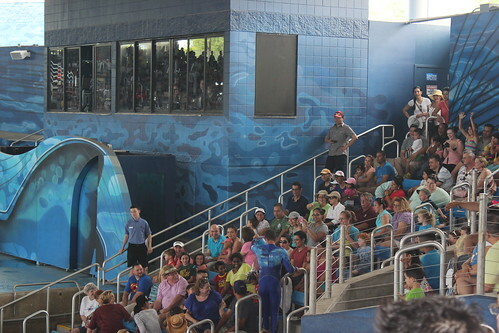 In the next picture, you can see Will and the kids right next to the guy standing guard at the gate in the middle of the picture. At the other end of Will’s row, is a Trainer dumping a bucket of water on some poor people’s head. I would have been so ticked! 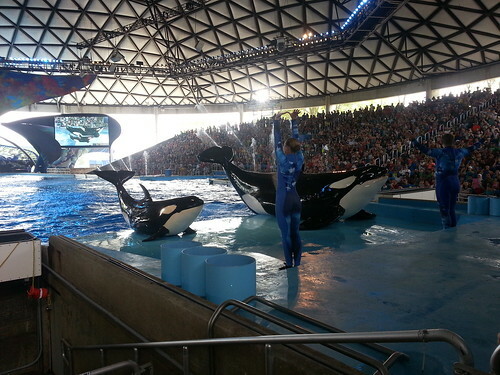 Here is the picture that Will took when the whales posed right in front of him. 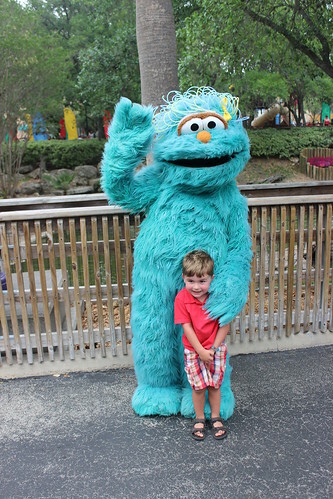 The SeaWorld in San Antonio has a big Sesame Street area for the kids. We didn’t spend near enough time there, but we got to do most of the rides. 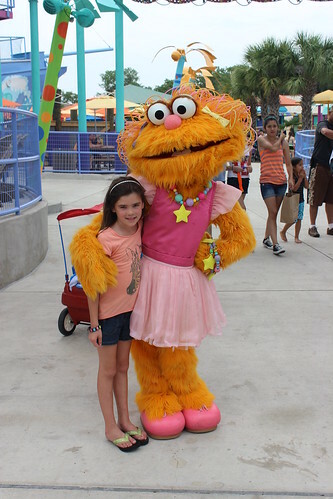 Here is Anna and Zoey (I think)! Once again, Grandma is on a carousel. 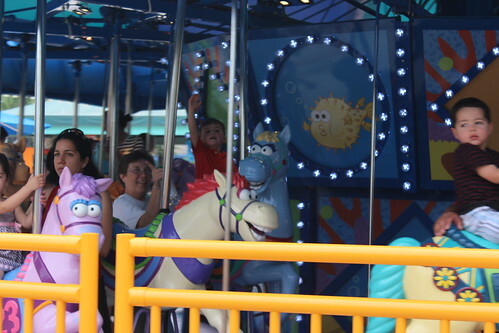 Seems like every time we go to a theme park she ends up on a carousel. Isabelle is my big chicken. 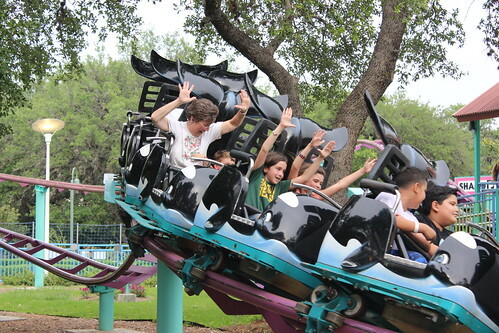 She finally put her hands up towards the end of this ride. I think we may have pushed our luck with Anna and roller coasters on this trip. While Disney has some very good themed roller coasters and a couple with some hills and turns in them, they don’t have anything like the big thrill rides (that are my favorites) at the other parks. 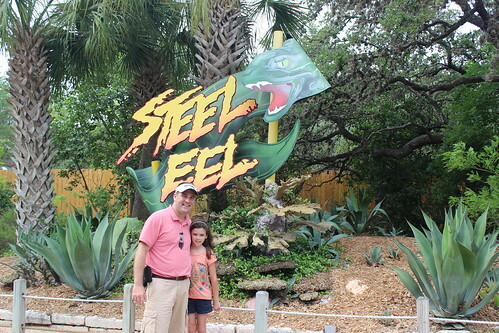 The Steel Eel didn’t have any loops or sharp turns, just some EXTREMELY big drops (and LOTS of them). 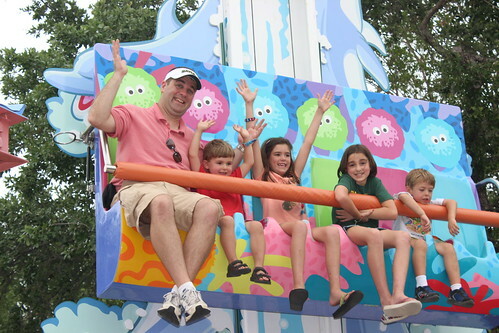 Anna got on this ride with her daddy and was horrified. He said he’s never heard her scream with fear and panic like he did that day. I don’t think she’ll be trying anything outside of Disney for a LONG time to come. She didn’t even want to get near the sign to pose for a picture with her daddy. I think this one may be more their style. Grandma and Luke even have their hands up! 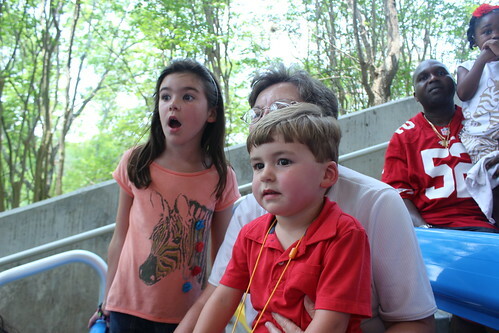 This was how Anna and Luke sat for the Dolphin show…jaws dropped and amazed. 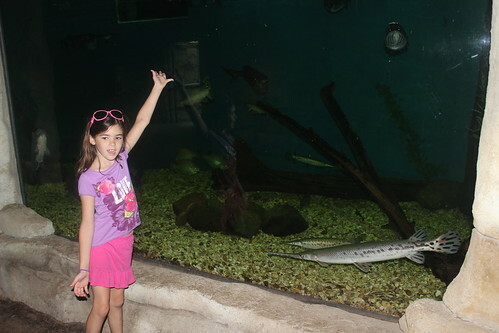 Luke loved the shark tanks. 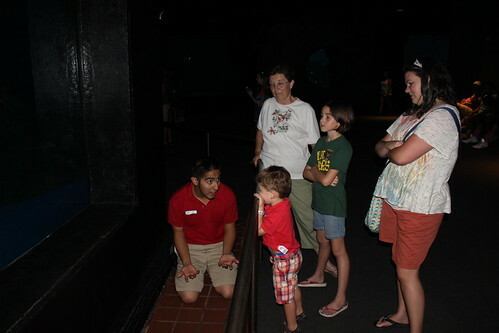 Here he is talking to the guy about the sharks. I can’t remember his question, but this guy just talked to him like he was somebody important. 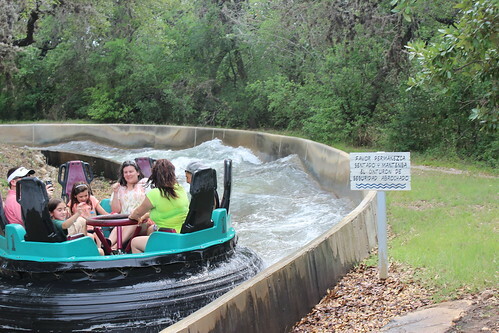 Somehow, I got talked into riding a water ride. 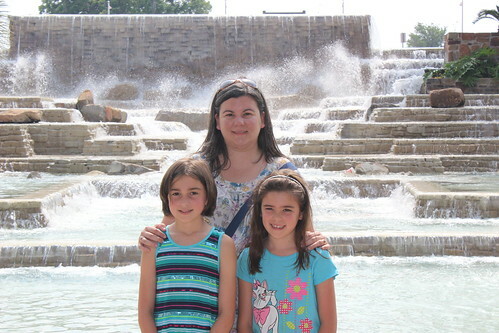 This time, even though I wasn’t anywhere near Isabelle, I was the one that got soaked! 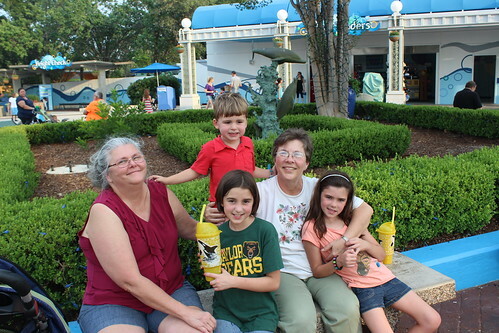 Grandma and Nana were such troopers during this trip. 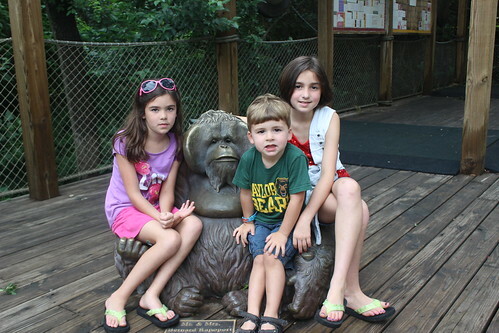 They wrangled kids, took potty breaks, and dealt with me and Will when we were grouchy. 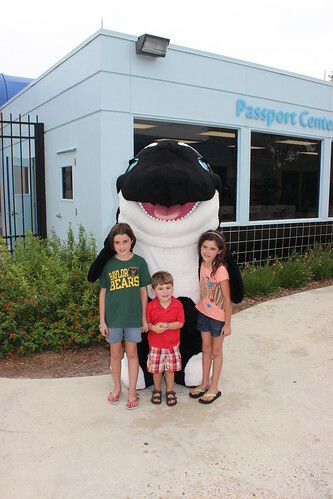 We were very glad that they got to go. 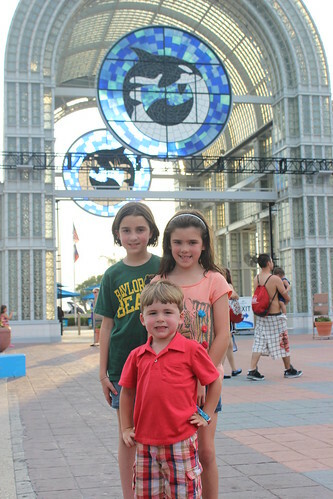 On our way home, we took the kids to see the Alamo, the Tower of the Americas, and the River Walk Mall. 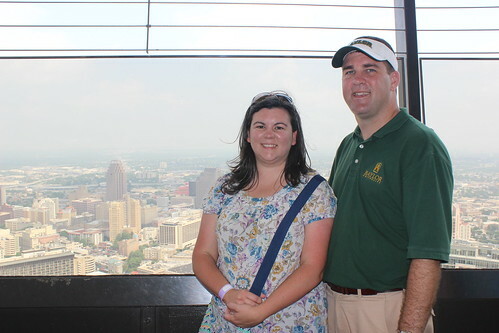 Here we are at the top of the Tower of the Americas. They had a beautiful fountain area at the base of the tower. I could have sat there all day! 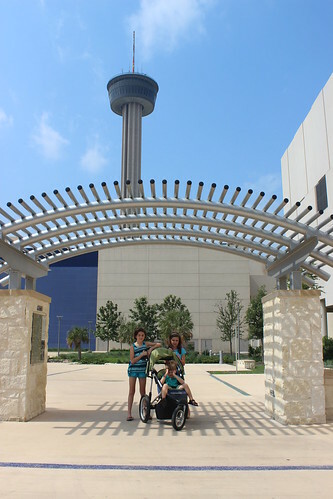 The girls were really glad that the tall building wasn’t a ride. Just an elevator. There was a 4D movie that had one part where the rattlesnake whips out from under the seat. 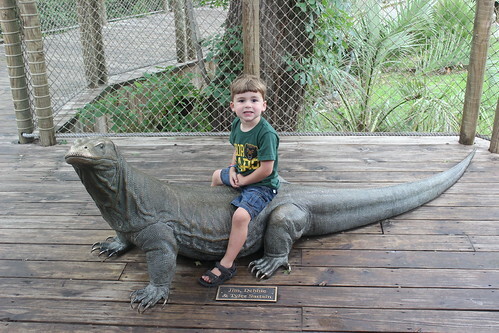 Luke STILL talks about how that snake got him in Texas. We had a blast! 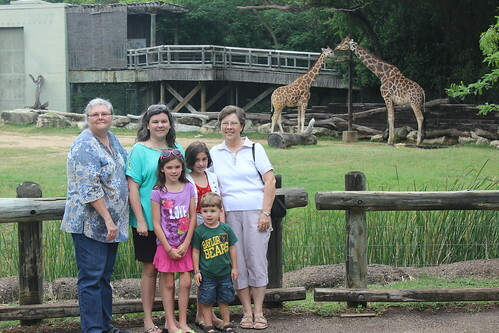 Thanks again Grandma and Nana for going with us and ALL of the help that y’all provided! 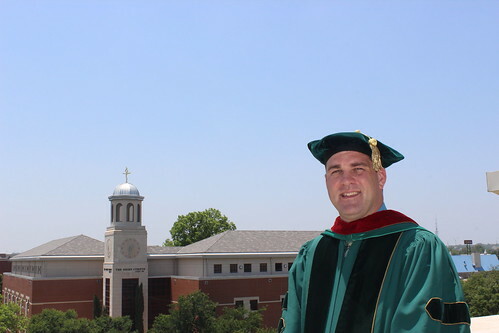 I'm glad that you all had such a wonderful experience on the Education Graduation Trip to Texas. It looked like it was a lot of fun, and I know that the kids will remember it for a long time.